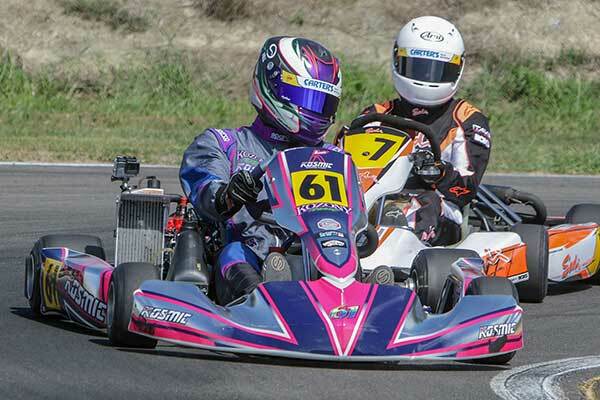 For years now New Zealand’s top karters have been crossing the Tasman seeking greater competition. 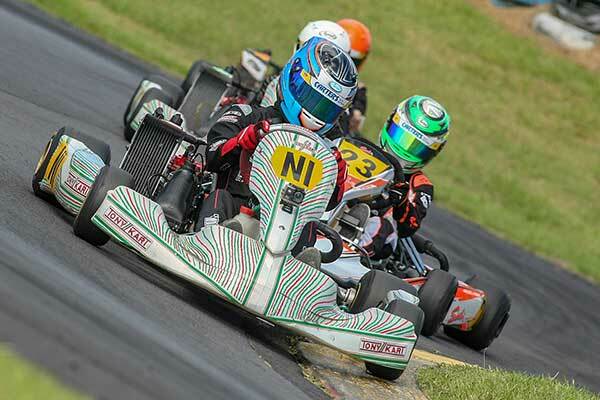 This Easter weekend five of Australia’s best – Lane Moore, Cody Gillis, Harrison Hoey, Jaiden Pope and Peter Bouzinelos – are returning the favour at the Giltrap Group backed 2018 KartSport New Zealand National Sprint Championship title event at Rotorua. The three-day (Fri-Sun) event has attracted a field of just over 140 top local karters plus the five Australians. The event will be live streamed on Saturday and Sunday – click HERE. While it is not unusual for the odd expat to return for a New Zealand or Island title meeting, what stands this year’s National Sprint title event – being hosted by the KartSport Rotorua club at its Century Batteries International Raceway at Mamaku west of the city – apart, is the calibre and current standings of the drivers making the trip. In November last year Cody Gillis won the Rotax DD2 class title at the 2017 Rotax Max Challenge Grand Final meeting in Portugal. And early this year the young Wollongong, NSW, ace won the X30 class Final at the opening round of this year’s Australian Kart Championship at Monarto in South Australia. Second in the X30 Final, in his debut AKC event as a Senior, meanwhile, was none other than Harrison Hoey from Ipswich in Queensland. 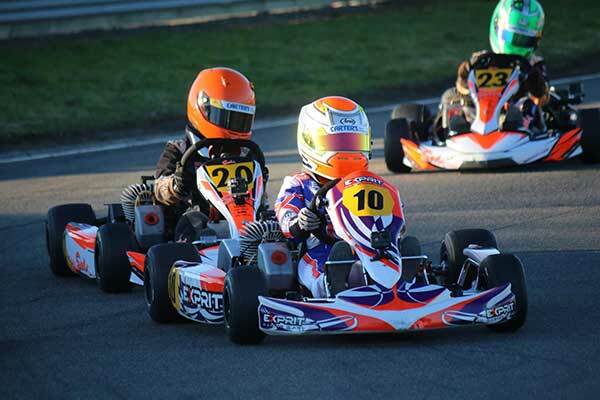 Both are entered this weekend in the 125cc Rotax Max Light class, where they will meet their Kiwi equivalents. The defending class title holder – and seven-time NZ Sprint champion – is Daniel Kinsman from Auckland, while also in the 24-strong field is multiple-time South Island champion Chris Cox from Rangiora, and no fewer than three of the Kiwis who have been competing in Australia of late, Michael McCulloch from the Kapiti Coast and Australasia’s top female karters, Rianna O’Meara-Hunt and Madeline Stewart from Wellington., and Jaden Hardy from Palmerston North. Like Cody Gillis, Lane Moore is also at the top of his game at the moment, leading the 125cc Rotax Max Heavy class after two rounds of this year’s Australian Rotax Pro Tour series. An expat who now calls Queensland’s Gold Coast home, Moore is the most experienced of the visitors having taken home the New Zealand 125cc Rotax Max Heavy title twice before. Also doing well in the Australian Rotax Pro Tour this year is Jaiden Pope. One of Australia’s top emerging Juniors, Pope, from Camden in New South Wales, is currently second in the Junior Max class after two rounds of this year’s Pro Tour series across the Tasman. Finally, Peter Bouzinelos, from Melbourne is also a bona fide title threat in the Cadet ROK class. The youngster already has experience racing internationally – in Taiwan – and currently leads the points standings in the Micro Max class in this year’s Rotax Pro Tour at home. That said, with 27 entered in the Rotax Max Junior class this weekend, and 24 in Cadet ROK, neither Pope nor Bouzinelos are going to have an easy run though. Included in what is arguably one of the strongest Rotax Max Junior fields ever assembled at a Sprint Nationals meeting are the reigning North Island champion, Ryan Crombie from Auckland, the reigning South Island champion, William Exton from Picton, the current NZ Schools’ champion, Sam Wright from Auckland, and the winner of the Rotax Junior class at the opening round of this year’s Australian Rotax Pro Tour, Kiwi Ryan Wood from Wellington. Add in Jackson Rooney from Palmerston North, brothers Fynn and Clay Osborne from Hamilton, former Vortex Mini ROK class champion Breanna Morris and NZ rep Joshua Parkinson and recent class graduate Liam Sceats from Auckland, and there is depth as well as outright pace in the field. The same goes for the Vortex Mini ROK class, with a record 30 entries. Back to defend his 2017 title is impressive Christchurch youngster Jacob Douglas while set to again take the battle to him are fellow 2017 ROK Cup International reps Logan Manson from Levin, and Kaden Probst, and 2016 rep Mason Potter, both from Auckland. This year the entry has also been boosted by the arrival of the driver who has dominated the Cadet ROK class for the past three years, Louis Sharp from Christchurch. The entry list also includes North Island champion Ryan Hancock from Cambridge, NZ Schools’ champion Emerson Vincent from Pukekohe, Sebastian Manson, Hayden Bakkerus and Ayrton Williams from Auckland, Bo Hill and Ollie Workman from Nelson and second-generation drivers Ben Stewart from Wellington and James Black from Dunedin. There is certainly a lot riding on the win, this year – as last – the Vortex Mini ROK title-holder earning a trip to the ROK Cup International meeting in Italy later this year. North Island champion Jay Urwin is the obvious form driver in the 24-strong Cadet ROK class with competition expected to come from Peter Bouzinelos (who is coached by multiple Australian champion Dave Sera), former North Island title holder Kiahn Burt from Palmerston North and Ashton Phipps from Auckland. Other youngsters expected to do well include Hugo Neale and Judd Christiansen from Palmerston North. The fields are not so large in the Senior classes but the competition at the front will be no less impressive. Lining up to take the battle to Aussie visitor Lane Moore in 125cc Rotax Max Heavy are Zack Zaloum from Hawke’s Bay, Kevin Barker form Nelson, Aarron Cunningham from Auckland, Campbell Joyes from Hamilton, as well as Ashley Higgins and Brendon Hart from Palmerston North. Defending Rotax DD2 class title holder, Aucklander Mathew Kinsman, meanwhile, will face off with younger brother Daniel, top female driver Tiffany Hamilton (nee Chittenden) from Christchurch, top Aucklanders Jonathan Buxeda, Bond Roby and David Malcolm and moonlighting Speedway Super Saloon ace Sam Waddell from Tauranga. Successful NZ-based internationals Daniel Bray from Auckland and Matthew Hamilton from Christchurch head a star-studded KZ2 field which includes Aucklanders Mathew Kinsman and Matthew Payne, Madeline Stewart from Wellington, Rhys Tinney from Hamilton and Jacob Cranston from Palmerston North.